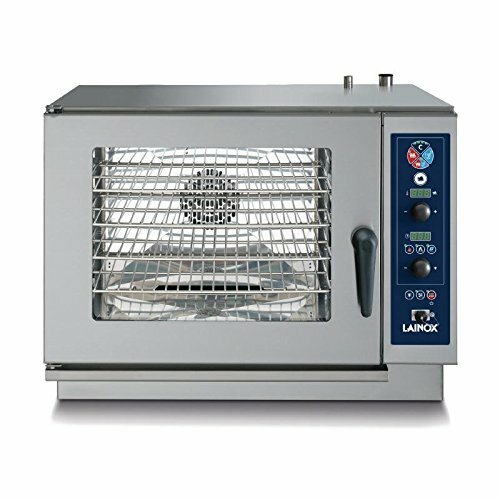 Highly advanced and an essential addition to professional kitchens, the 3 phase Lainox CME 061S is the ideal efficient combi oven for kitchens with limited space as it can be positioned on a countertop or a separate stand. Featuring a built in boiler, steam is precisely generated and contributes to a wide variety of cooking options available in this versatile and powerful combination oven. The oven includes a huge variety of features to assist in producing perfect dishes every time, including innovations to reduce energy and water consumption - reducing running costs.